Stern of SC 93, Corfu, Greece. G. S. Dole Collection. 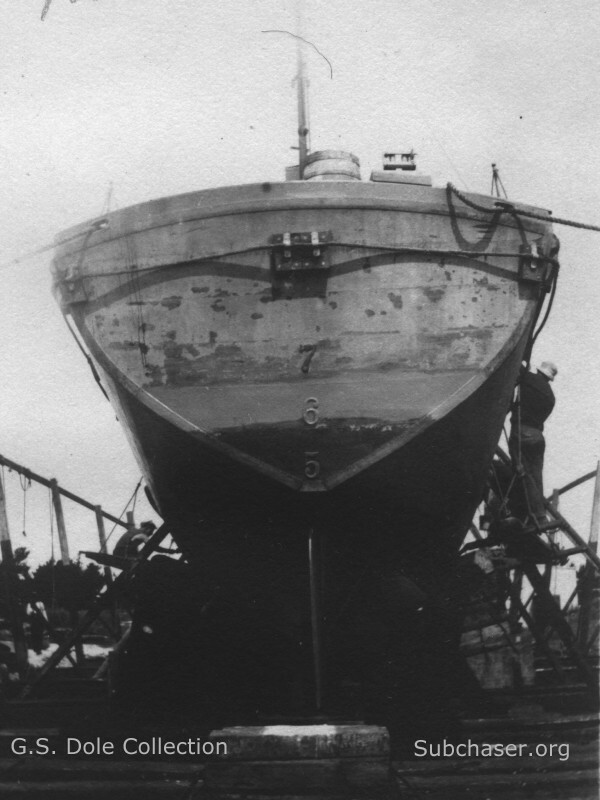 This photo of SC 93 in dry dock shows a steel cable skirting the vessel, attached to blocks spaced around the perimeter of the chaser. Research suggests that this device was a towing harness used during the voyage overseas to the base at Corfu, Greece. It doesn't appear in photos taken during active ASW operations at Corfu.